God has gifted some with abilities. For some that ability is singing, song writing, leading, playing, creating art or video or graphics, dancing, .....for some God has given the gift of the arts to share his love through. It's a powerful medium. There is power in a professional video that shares God's power over addiction. There is inspiration in a perfectly placed, and arranged song. There are life changing moments when God uses the arts for his reasons. This was my first week back and I played drums...which I am not good at. Jamie Campbell played with us this week. I am so thankful for the talent and skills God has brought our way at Discover Point and I pray for more!!!!!!! The band rocked this week. Brien is such a great friend and great lead worshipper. This was the last week of So You're Dead now What? Heaven was the subject. Daniel painted during the service and I heard alot of good stuff about it..
Alot of people were out of town but we still have a good group. All in all this Sunday was good. The subject matter was awesome....and decisions were made to follow Jesus Christ...which is why DPC is here. Thanks to everyone for continued prayers and thoughts. Ethan is such a funny kid. I thought I would share this with you guys. Going to Stone Mountain with DP today. The same goes for our family....what a support. We know we are loved by you guys. I received a bonsai tree from some clients at the Hampton Inn yesterday. They are Jehovah's Witness and I don't know exactly what they believe about the afterlife, but I do know that they don't have the promise of Heaven that we have in Jesus Christ. What worship we will shout in Heaven!!!! I am more ready for heaven now than ever before. Green Meadow Memorial Gardens. I used to pass this cemetary without blinking an eye. I never gave any thought to who was there and what they meant to their loved ones. It's now a special place for me. A place I can go and remember. Here is a picture that my baby sister Melissa took on Saturday. Noah's grave is directly under the flowers. I love this picture. Lisa posted more of these on her blog. I was back at work today. It's amazing how the place just keeps on rolling if you are there or not. That's the hotel business. People come in to town and out in a few days. Some people are nice, some can trash a room, some eat take a few extra muffins for the road from the hot breakfast, some leave without eating a bite.... today my brain was not in it. I guess I really don't know how this loss is going to effect me. I found myself day dreaming and then coming back out of my Noah thoughts.... I have a sadness inside. I don't know what I would do without Lisa or Ethan. they give me something to take care of. And I don't know what I would do without faith in Jesus Christ. Never have I understood how amazing it is to be a follower than through the death of my child. I trust His promises even harder than ever before. Noah was born on July 7, 2009 and died sometime before that in the womb. I can't really understand everything that happened Monday night and Tuesday Morning. We spent 7 months dreaming about what Noah would look like, what Ethan would say about his new brother, how we would pay for him, what daycare he would be in, and dreams of how life was going to change from 1 perfect baby boy to 2 perfect baby boys. All those dreams disappeared in about 5 seconds. Life will never be the same for us. We are so thankful to have Ethan. He cheers us up and reminds us that he is not going anywhere. In fact he has been acting out to get our attention in the evenings. I think He knows how sad his mama is. Tanner, my dog never sits next to Lisa. He always comes by me because we are buddies. He has taken every chance he can to be close to Lisa. We have received so much food it's amazing. It really helps alot. It's kinda exciting to see what's coming each night. I never understood how important that is until now. I want to take a moment to brag on my wife Lisa. She has been so strong during this time. Not afraid to say goodbye. Not afraid to grieve with others. Not afraid to withstand the pain of a c-section. Not afraid to come home. She is amazing. Proverbs 16:9 "9 In your heart you plan your life. But the Lord decides where your steps will take you." 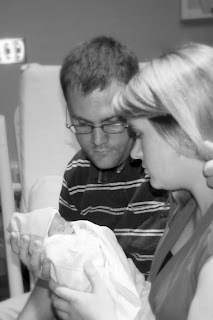 We have added the story of our baby to House of Collinsworth blog. Listen to the song Hello, Goodbye by Michael W Smith. It is amazing. Memorial Service for Noah David is July 12, 1pm. Sundays can be so long and tiring!!!! 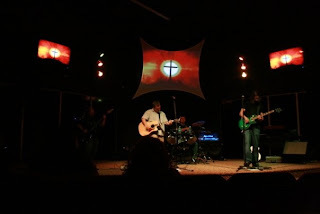 Here's the question... What do you focus on when creating a worship set? I'm always looking for songs that make a strong point. Christian, or not...a song with a clear point that is positive is a strong tool in God's hand. Researching churches, and other creative ideas...this can inspire you to think outside of your box. It's good to understand what's happening or what's not happening at churches in your area. YOU HAVE TO KNOW WHAT THE MESSAGE IS FOR THAT DAY. If not you are truly guessing... Even the very minimun of the Title or Series Topic is vital. I think creativity works best within boundries... If you have a topic you can work on a theme which creates a flow in the worship. 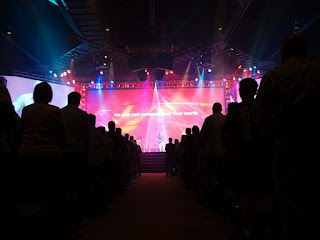 I try to have a broad worship set that reaches all those groups, but builds from the prior gatherings. We are building on each week and teaching people what it means to worship God in a corporate setting. We are not a group of performers on Sunday although my good buddy Brad would say we have performance elements each week (which I agree with.) Maybe on other days of the week we can be that, but on Sundays we focus on Jesus. That's what I do. I am an encourager and I want to build people up to where God wants them. Anyway I can lead others toward Jesus is a huge blessing for me. Even when we come in cold we still rock it for Jesus. I am thankful for each person that plays on Sundays and i pray that God increases that number.. This sunday Perry Noble shared that God is here!!!!! and He's right. He became sin who knew no sin that we might become the righteousness of God!!! I know it's a little played out but I like that fact that "we win" as followers!!!! We all work together for the common goal of sharing Jesus with our community. Philip shares next week about God is....grace. Almost half our church this past sunday was 12 and under!!!! Kinda scarey.